From each ticket sold during for the four games, $1 will be donated to the American Red Cross Hurricane Harvey relief fund, and will be matched by MiLB Charities. 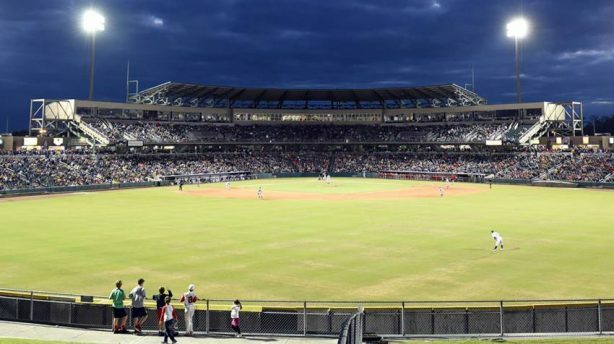 Mike Kickham allowed one run in six innings pitched and the New Orleans offense kicked in eight runs on 17 hits to defeat the Oklahoma City Dodgers 8-1. Rob Segedin drilled a solo home run in the third inning and three Dodger pitchers combined to shutout the New Orleans Baby Cakes 2-0. Sunday’s game between the New Orleans Baby Cakes and Colorado Springs Sky Sox was cancelled due to rain and will not be rescheduled. The win moved Colorado Springs within a victory of clinching the franchise’s first playoff appearance since 1995 and first division championship since 1992. The New Orleans Baby Cakes rallied to tie in the bottom of the ninth, then won with a run in the bottom of the 10th to defeat the Colorado Springs Sky Sox on Friday night, 5-4. Brett Phillips had an RBI single in the sixth inning to drive in the only run of the game as the Colorado Springs Sky Sox defeated the New Orleans Baby Cakes on Thursday night, 1-0.